Visit Il était une Fois, Paris. Visit this toy and costume shop steps away from the Boulevard Saint Germain, Paris. This place could only be described as the Ali Baba’s cave of Saint Germain. If your children don’t get the chance to go to Disneyland Paris, this treasure trove will definitely make up for it. 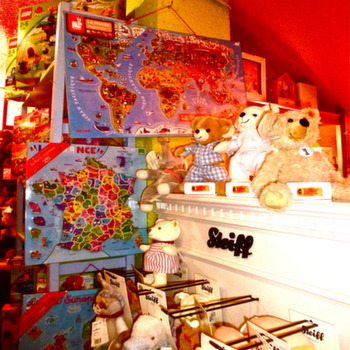 The cosy interior is packed full of toys, board games, teddy bears, kid’s furniture and costumes. The toys come in various categories from super modern, electronic toys to old-fashioned, wooden toys; there are even educational toys! The range of cribs and prams are designed beautifully and will add a French touch to your child’s bedroom. 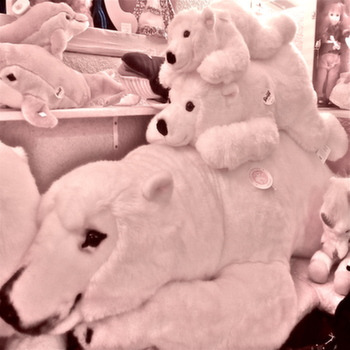 Do not miss the teddy bears, made with soft fabrics with sizes ranging from miniscule to giant (larger than a fully-grown man). The shop assistants are friendly and dynamic ensuring you that you will find the perfect toy for your child. All in all, this quiet little cavern is a real treat for all the family!